The Photogallery of Hanne Fischer - have a look! Hanne Fischer as Orfeus at the Royal Danish Opera 2004/2005 with Gisela Stille as Euridice. Charlotte in Werther with Misja Didyk as Werther - Production of Guy Joosten as Charlotte in Werther with Misja Didyk at the Royal Danish Opera 2005/2006. 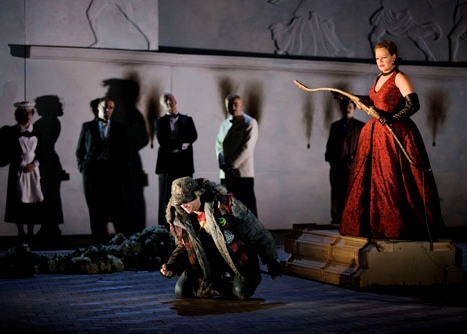 Hanne Fischer as Penelope in "Il ritorno d' Ulysse in Patria". Production of David Alden.